Lamborghini is a company renowned for fast sportscars. However, in its fabled history, Lamborghini has also made one SUV, the LM002, a vehicle that never saw the light of the day. Present day and Lamborghini has an all-new addition to its hallowed line-up, the Urus. Shown as a concept in 2002, the Urus in its production form in India costs Rs 3 crore, ex-showroom. 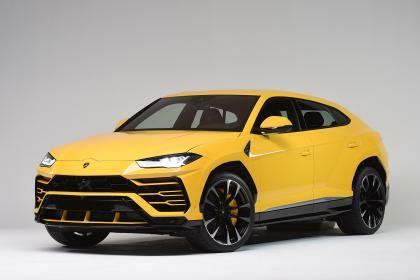 Take a look at the Urus and you will see familiar Lambo design cues. This includes the shape of the headlamps and the coupe silhouette. The standout design elements include the wide grille with various creases and cuts adjoining it. Move to the side and you see the huge 23-inch wheels and the biggest disc rotor in the business at 440mm. One can also order their Urus with a choice of 20-inch wheels. This is also the first production Lamborghini to have 4 doors. At the back are sleek-looking lamps that resemble the ones we have seen on the new Porsche Panamera and Audi A8. An integrated spoiler as well as quad exhausts round off the rear design elements. Open the door and you see a bespoke cabin that has a mix of black and red upholstery, perhaps the best use of these colors in a car. There is a touchscreen infotainment system, digital dials and aircraft-like toggle switches. Along with the Ego mode that let's you alter the suspension, engine and steering characteristics, there are six other modes. Lamborghini engineers say that the Urus is designed to seat a 6ft 9inch driver and a 6ft 3inch passenger at the back seat. The boot can swallow 616 litres of luggage. This Lamborghini is equipped with air suspension and four wheel steer. This ensures that the vehicle adapts to the road conditions, thereby giving optimal ride comfort. For this modern SUV, Lamborghini has opted for an all-new 4.0-litre V8 engine that makes 650PS of power @6,000rpm and 850Nm of torque @2,250rpm. An 8-speed dual clutch automatic transmission transfers power to all four wheels. Lamborghini claims that the Urus will hit 100kmph in just 3.6s with a top speed of 305kmph. This puts it on the pedestal as the world's fastest SUV. All 10 units allocated for the Indian market have already been accounted for. It is likely that fresh orders for the Urus SUV will be delivered next year.